Full grain leather bib apron, 4 pocket, adjustable neck and waist strap. 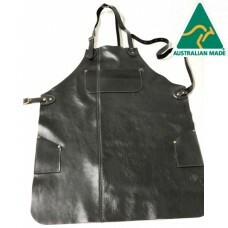 Available in Black and B..
Suede leather bib apron with adjustable neck and waist strap. 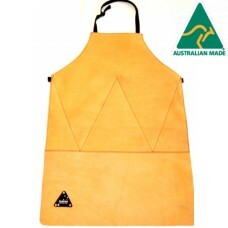 Avaialble in Gold Suede only Dim..
Reinforced suede leather bib apron with double thickness leather for extra protection. Comes with ad..
Full grain leather waist apron with 50mm adjustable webbing belt. Available in Black & Brown ..
Full length Bib Apron, full grain leather, 2 pocket, adjustable neck and waist strap. 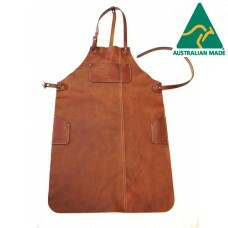 Available i..
3/4 Length full grain leather bib apron, 2 pocket, adjustable neck and waist strap. Available in&..
3/4 Length full grain leather bib apron, 4 pocket, adjustable neck and waist strap. Available in ..
Suede Leather waist apron, double reinforced for extra protection, comes with adjustable 50mm webbin..
Vintage, soft feel, full grain leather bib apron that looks better with age. Colour: chestnut ..
AP-8A : Vintage 3/4 length Bib Apron, full grain leather, 4pocket (75cm long), Vintage, soft feel, f..
Vintage, soft feel, full grain leather bib apron that looks better with age. 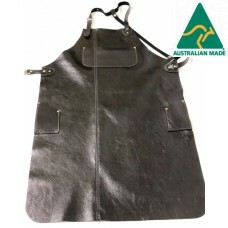 Colour: black 4 p..
AP-9A : Vintage 3/4 length Bib Apron, full grain leather, 4pocket (75cm long) Vintage, soft feel,..